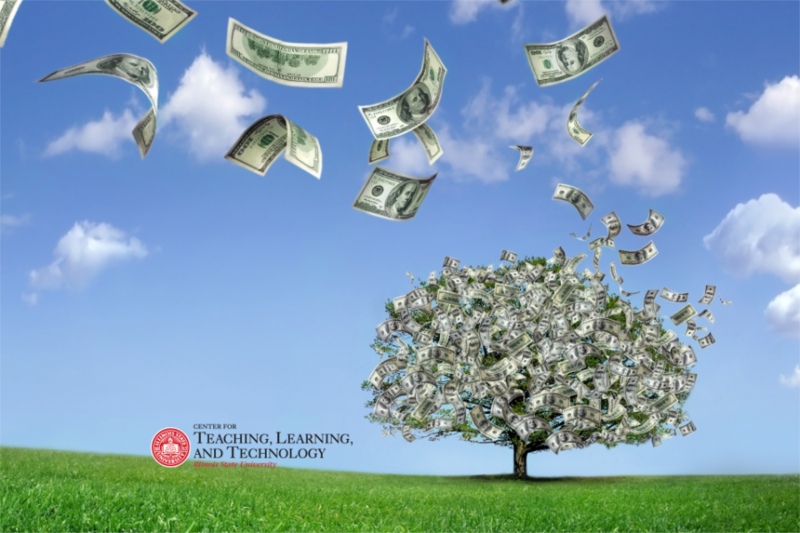 Teaching-Learning Innovation Grants help faculty make their teaching ideas a reality. Got a great idea to improve how students learn in your course? Let the Center for Teaching, Learning, and Technology help you make that idea a reality. Teaching-Learning Innovation Grants help instructors implement creative strategies that have a direct impact on student learning outcomes. While the concept of “innovation” may vary across disciplines, proposals center around an approach to teaching, or a resource to enhance teaching, that has not been widely explored at Illinois State University. Teaching-Learning Innovation Grants are open to all tenured and tenure-track faculty, full-time non-tenure track instructors, and full-time AP staff with teaching responsibilities at Illinois State University. Individuals may be awarded up to $2,000, while teams may be awarded up to $2,500. Successful applicants will share their innovations with the campus community by presenting at the following year’s University-Wide Teaching & Learning Symposium, held each January. Submissions must be received by Friday, September 25. Submission guidelines, evaluation criteria, and other important information can be found on CTLT’s website. Send questions to CTLT@ilstu.edu or call (309) 438-2542.